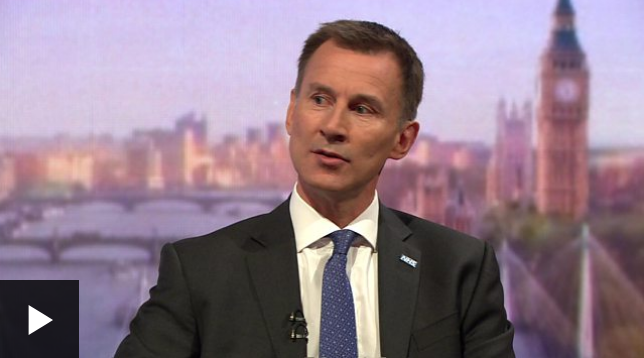 Health Secretary Jeremy Hunt has said that "threats" by business over Brexit are "completely inappropriate". He was responding to warnings by Airbus and BMW that investments in the UK could be jeopardised by Brexit uncertainty. Speaking on The Andrew Marr Show, Mr Hunt said Brexit discussions were at "critical moment" and needed unity. He also refused to rule out scrapping cuts to corporation tax in order to fund extra spending on the NHS. Last week, Airbus warned it could leave the UK if Britain were to exit the single market and customs union without a transition deal. BMW followed the warning by saying that clarity over Brexit is needed by the end of the summer. In response Mr Hunt said: "It's completely inappropriate for businesses to be making these kinds of threats. "We are in an absolutely critical moment in the Brexit discussions and what that means is that we need to get behind Theresa May to deliver the best possible Brexit. "The more that we undermine Theresa May the more likely we are to end up with a fudge, which would be an absolute disaster for everyone." A week ago BMW UK manager Ian Robertson said he had to know inside months what the administration's favored position was on traditions and exchange post Brexit. "In the event that we don't get clearness in the following couple of months we need to begin making those possibility arrangements... which implies making the UK less aggressive than it is in an exceptionally focused world at the present time," he said. "That is a conclusive issue that at last could harm this industry." 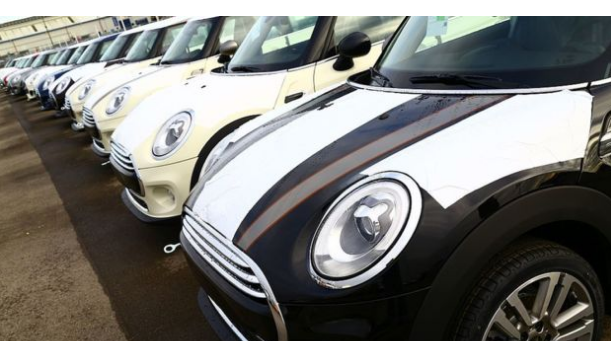 BMW makes the Mini and Rolls Royce and utilizes around 8,000 individuals in the UK. It has developed an elective assembling base in the Netherlands in the midst of worries about Britain's appropriateness as a fare center point after Brexit. The traditions association unites the EU's 28 individuals in an obligation free region, in which they pay a similar rate of obligation on non-EU products. PM Theresa May has discounted remaining in the traditions association after the UK leaves the EU on 29 March 2019. Airbus, in its Brexit "chance evaluation" distributed on Thursday, said if the UK left the EU one year from now without an arrangement - leaving both the single market and traditions association instantly with no concurred progress - it would "prompt extreme disturbance and intrusion of UK generation". The European plane-creator said the notice was not some portion of "Venture Fear", but rather was an "unfolding reality". The expression "Undertaking Fear" has been utilized by some ace Brexit campaigners to signify asserted scaremongering by those for staying in the EU. 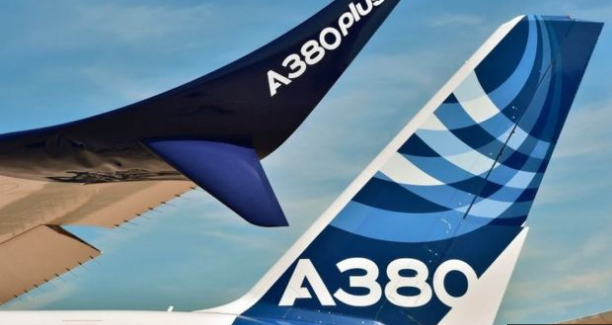 "Airbus have been one of the primary organizations to stick their head over the parapet and clarify how troubling and how stressing the administration's present bearing of movement is," Labor's shadow business secretary Rebecca Long-Bailey disclosed to BBC Radio 5's Pienaar's Politics. She said she had been told in private gatherings with UK business pioneers that if the legislature went into a "no arrangement" Brexit situation "it would complete them and they would need to close their locales".